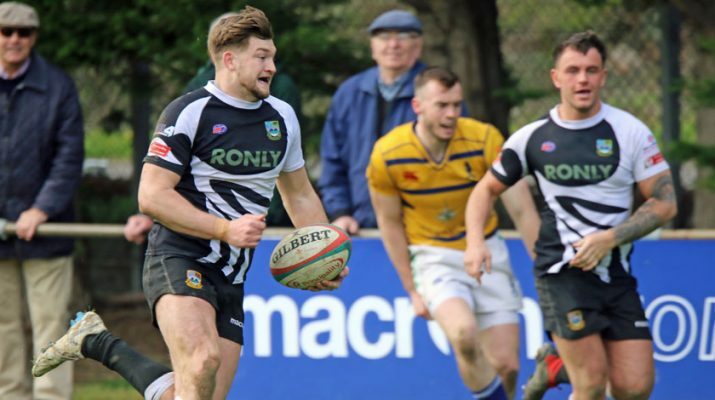 Bedwas dug deep to hold off a late Bridgend fight back to claim a huge win which will hopefully go a long way to staving off relegation at the end of the season. Credit must be given to the entire squad for their efforts but special praise must go to the two permit players from Cardiff Met RFC (Tom Benjamin and Jack Wright) and the returning Mike Callow (playing his first game since November 8th 2018) for putting in excellent shifts. On a sunny afternoon with moderate breeze at their backs Bedwas got off to a flying start. A break down the middle found James Richards who cantered into the corner for a try with only two minutes elapsed. Joseph Scrivens added the extras against his former club. 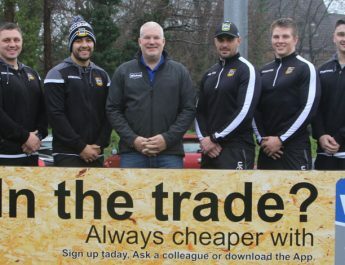 Bridgend responded immediately when Bedwas were penalised for a high tackle full back Owen Howe slotted the resulting penalty to reduce the arrears. Howe had a second opportunity ten minutes later after Bedwas were penalised at a ruck but this time his kick sailed wide. Just past the hour a break down the left by Jordan Rees saw him beat his marker to set up the supporting Tom Benjamin who sprinted in from 25 metres to cross by the corner flag. Scrivens’ accuracy deserted him on this occasion but his previous precision was enough to see him awarded Bedwas man of the match. The 66th minute sin binning of captain Nathan Hudd for a no arms tackle on Bridgend’s outside half Jamie Murphy proved decisive as immediately the visitors sensed it could be their day. Replacement centre Stuart Floyd-Ellis wasted no time in taking advantage of an unorganised Bedwas defence as he crossed for under the posts. Cai Evans quickly added the conversion with a drop kick. 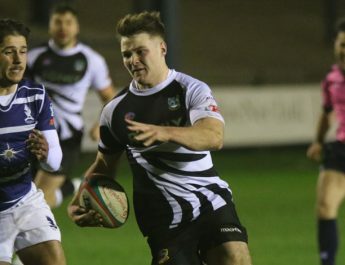 Bedwas had to dig in and with the return of Hudd from his 10 minute sabbatical some normality returned to the defence which to their credit was resolute as Bridgend threw the proverbial kitchen sink at them. It looks likely that the relegation could go to the wire but Bedwas attention must be on huge game at rock bottom Neath next Saturday which once again is a must win fixture. Bridgend host Llanelli in the televised fixture on Friday evening in another huge game which will have a big impact on how the bottom five shape up. The Bedwas man of the match award sponsored by Casa Mia Restaurant of Caerphilly was awarded to Joseph Scrivens. November 24, 2018 Ian Lovell Comments Off on Bedwas hold on at the death to claim vital win.